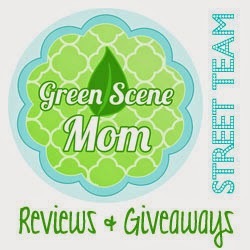 Mama's Mission and Mom to Grandma are proud to bring you this wonderful giveaway!! Mom to Grandma is celebrating 10,000 Facebook Likes and has graciously sponsored this great giveaway! 2 Winners will be drawn using Random.org via the Rafflecopter. The 1st winner picked will have the option of which prize they prefer of the $25 Cash Prize paid via Paypal, the 2nd winner will receive $25 Kroger Gift Card. This giveaway is open to residents of the US only, 18 and over. Enter using the Rafflecopter below. Good Luck to everyone! Disclosure: TRYING TO GO GREEN is not responsible for the shipment of the prizes and was not compensated for this post. The prizes will be sent by the sponsor Mom To Grandma. I celebrated Christmas with relatives that I don't get to see too often because they live out of state! We exchanged gifts and ate delicious food! At home with my boys. It was really nice.